Two of Bach s finest cantatas, both for solo alto, composed in Weimar (1714) and Leipzig (1726) respectively, are here coupled with the delicious agony of grief that is Pergolesi s 'Stabat mater', an acknowledged masterpiece by one of the 18th century s most influential composers. Bach so admired the composition of his Neapolitan colleague that he made his own parody of it to a German text. On this recording, La Nuova Musica, in its 10th anniversary year, and its two eminent soloists display equal mastery of both idioms. In 2008, conductor Thomas Hengelbrock rediscovered Niobe, Regina di Tebe, written in 1687 by the Venetian-born, German-based composer Agostino Steffani. Although now little remembered, Steffani was a world-famous composer in his day and a man of many talents who became a diplomat and bishop as well as being a musician. 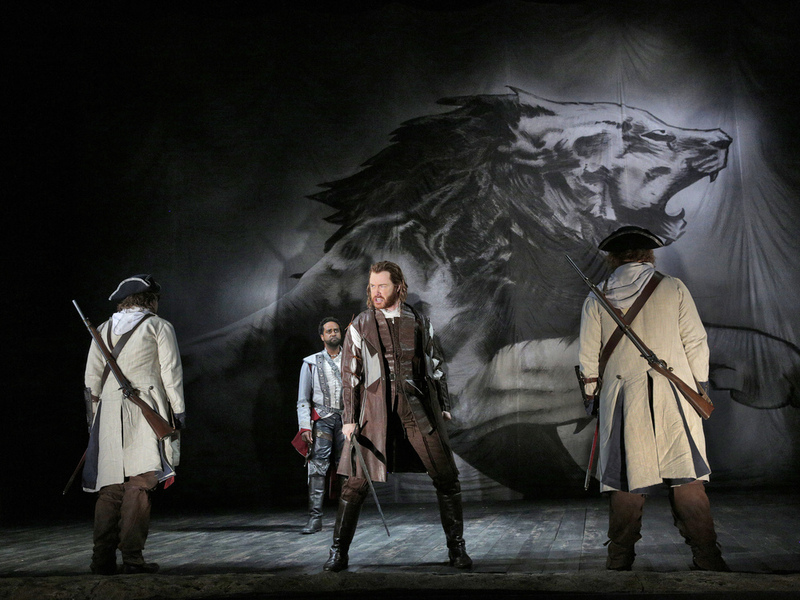 Hengelbrock and director Lukas Hemleb staged Niobe at the Schwetzingen Festival, and they have adapted this production for the Royal Opera House and the Grand Théâtre du Luxembourg. Caroline of Ansbach, [actually Wilhelmina Charlotte Caroline von Brandenburg-Ansbach] wife of King George II, remarkably beautiful patron of the arts and sciences, considered Handel an esteemed confidant. It was in Hanover that Caroline first encountered Handel, actively encouraging his appointment as Kapellmeister there in 1710, and it was apparently at her behest that he composed five of his Italian chamber duets. With the accession of the elector as George I in 1714, Caroline became Princess of Wales and on his death, in 1727, Queen of Great Britain and Ireland, consort of King George II. This recording brings together, for the first time, three works underlining the strong link between the monarch and his favourite composer. Following several acclaimed albums of Handel’s operatic and choral masterpieces (including a triumphant Giulio Cesare with Natalie Dessay as Cleopatra and the oratorio La Resurrezione with British soprano Kate Royal), French harpsichordist and conductor Emmanuelle Haïm at last brings her fresh, expressive approach to Messiah. Joining her on a musically and spiritually uplifting journey for this long-awaited recording is Haïm’s own choir and period-instrument orchestra, Le Concert d’Astrée, with four of the UK’s finest Handelian singers. Arcangelo and their inspirational director Jonathan Cohen, one of the brightest stars in the Early Music galaxy, present Bach's great masterpiece in a glorious new recording made following a thrilling performance at the Tetbury festival. Arcangelo are still a relatively new ensemble, but have already won one Gramophone Award and been nominated for another. The members of the choir and orchestra are performers of dazzling technical ability with a passion for faithful interpretation that goes far beyond historical understanding. Their previous recordings for Hyperion have been praised for their liveliness, colour and full string sound. In this new recording these aspects of their performance are alchemically combined with a feeling of the great solemnity of Bach's monumental achievement. In their third disc for Delphian, Ludus Baroque and five stellar soloists bring to life Handel s rarely heard final oratorio, a remarkable Protestant re-casting of a work written 50 years earlier to a text by the young composer s Roman patron Cardinal Pamphili. Compelled by Time and Truth to accept the divine order of change and decay, Beauty ultimately gives way as with the aging composer himself to an assertion of redemption by good works, reflected in the incorporation of choruses Handel had written for the Foundling Hospital. With sisters Mary and Sophie Bevan jousting with one another in the roles of Deceit and Beauty, these discs make for revelatory listening. 60 years before Joseph Haydn, the German composer John Christopher Smith wrote an oratorio about the seasons, also based on the epic poem 'The Seasons' by the Scottish poet James Thomson. Smith was born in 1712 in Ansbach as Johann Christoph Schmidt and emigrated with his parents to London, for his father worked as a manager and copyist for George Frederic Handel. Young Smith received his first instruction from the master personally and later became Handel's closest working associate. He helped Handel with his composing and, when his mentor became blind, he directed performances of his oratorios. Smith himself was also a recognised composer who was "highly appreciated by many of the 'first heads' in the Kingdom", as the English music scholar Charles Burney reported. Gramophone Award-winning ensemble Arcangelo (in their first recording as a vocal and instrumental group) presents a selection from Monteverdi's last three books of madrigals. These ardent and passionate works are microcosms of Monteverdi's great operas, and among his most celebrated music. Most of the madrigals of Book 6 (1614) are songs of parting and loss. Book 7 (1619) is entitled Concerto, meaning that all the works it contains require instrumental accompaniment. And Book 8 (1638) introduces the genere concitatothe 'agitated' manner that Monteverdi devised to convey the emotions of war, whether physical or psychological. Combattimento di Tancredi e Clorinda sets an extended passage from Tasso's epic poem Gerusalemme liberate. Tasso's text, set in the time of the first crusade, tells of the combat between the Christian knight Tancredi and the Saracen maiden Clorinda. Most of the action of the Combattimento is conveyed by a narrator (Testothe text), sung here by celebrated tenor James Gilchrist. The Prince Consort's exciting and innovative new recording embraces two contrasting composers: Johannes Brahms and Stephen Hough including the premiere recording of the British pianist and composer Stephen Hough's collection: Other Love Songs . Commissioned by the Consort in 2009 to complement Brahms works, Hough's songs are designed to explore other kinds of love. This is symbolised in the rather unique accompaniment of three hands, with Hough providing the third hand. Brahms collection of love songs, Liebeslieder Waltzen, written for vocal quartet and piano duet (Alisdair Hogarth with Philip Fowle), depicts the love between a man and a woman at first cheerful and lustful, then as the mood darkens, heartbreaking and obsessive. After the successful collectors item releases of the Christmas Oratorio (2003), St. John Passion (2005) and B minor Mass (2007) performed by the Netherlands Bach Society, Channel Classics now releases a new and very special recording of J.S. Bachs St. Matthew Passion. Once again, the recording has been made in collaboration with the Catharijne convent Museum of Utrecht, so that this edition of the St. Matthew Passion is accompanied by a richly illustrated text book. This enables the listener to experience the Passion both in music and images. The illustrations are drawn from the unique collection of the Catharijneconvent Museum, which possesses the largest collection of liturgical art in the Netherlands. According to conductor Jos van Veldhoven there are reasons enough to look at the score in another way than the traditional symmetrical structure. Flavio, re de' Longobardi ("Flavio, King of the Lombards", HWV 16) is an opera seria in three acts by George Frideric Handel. The Italian-language libretto was by Nicola Francesco Haym, after Matteo Noris's Il Flavio Cuniberto. It was Handel's fourth full-length opera for the Royal Academy of Music. Handel had originally entitled the opera after the character of Emilia in the opera. Ned Rorem is one of the most widely-recorded living American composers, who Time Magazine called 'the world's best composer of art songs'. 'Ned Rorem - On an echoing road' features songs that are lyrical, beguiling and unaffectedly simple, intriguing, melodic and intimate. They have echoes of French, English and American song repertoires whilst being distinctively Ned Rorem. The Prince Consort will be giving the official European premiere of Ned Rorem's masterpiece song cycle 'Evidence of things not seen' at the Oxford Lieder Festival in October 2009 to coincide with the album launch. The singers in the Prince Consort are each award-winning and critically acclaimed performers in their own right and create a beautifully balanced blend together. In 2009 the music world celebrates the 250th anniversary of Georg Friedich Handel's death. 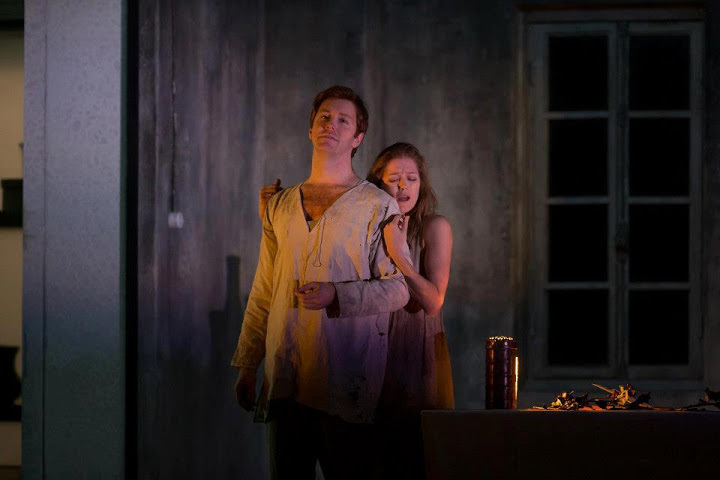 "Caro Amor" presents on 2 CDs the most beautiful and expressive arias from his most famous operas and oratorios, performed by the best in their field: Ian Bostridge ("Ombra mai fu", "Where'er you walk"), Maria Bayo ("Lascia ch'io pianga"), Vesselina Kasarova ("Caro Amor"), Nuria Rial and Lawrence Zazzo ("Alma mia, dolce ristoro", "Caro amico amplesso"), Angelika Kirchschlager ("Qui d'Amor," "Scherza Infida","Cara Spem"), Marijana Mijanovic ("Qual nave smarrita"), Annette Dasch ("Ah Crudele") and instrumental gems, played by Gabor Boldoczki ("Arrival of the Queen of Sheba"), Il Complesso Barocco, Kammerorchester Basel, etc. The double CD will be released as a high quality 2 CD digipak with a very attractive cover and is the right product for the many fans of beautiful Baroque music. The German oratorio "Paradise Lost" by John Christopher Smith was premièred on August 1st and 2nd, 2008. Over 1,200 visitors as well as regional and national press celebrated the performance - almost 250 years after the world première in London. 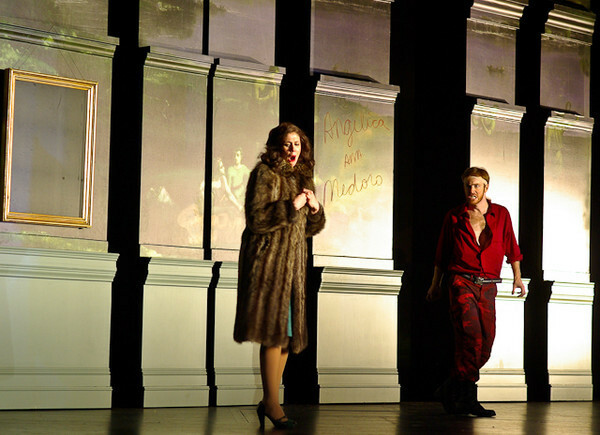 Singers included the incomparable Emma Kirkby as Eva, Tim Mead as Adam and Jan Kobow and Markus Simon as Archangel. Listening to 'Riccardo Primo' in isolation one could easily conclude that it is the finest of the five operas written during the 'Rival Divas' era - there is a great deal of wonderful music in this opera and the plot intriguing. This recording of 'Riccardo Primo' is made by Paul Goodwin on DHM. The anonymous libretto is based on the biblical stories of wise king Solomon from the First Book of Kings and the Second Book of Chronicles with additional material from Antiquities of the Jewsby ancient historian Flavius Josephus. The music was composed between 5 May and 13 June, 1748 and the first performance took place on 17 March, 1749 with Caterina Galli in the title role at the Covent Garden Theatre in London where it had two further performances. This new recording from the ultra low priced Brilliant label -- which has been bringing us 150-CD sets of all the music of Bach, Beethoven, Shostakovich and others in recent years and re-releasing other hallowed recordings licensed to other labels -- is an international production that is correct historically in that it uses all three parts of the oratorio. For many years, the typical production used only the second and third parts beginning with "Exodus" section at the tenor aria, "Now there arose a new king over Egypt". This version includes the first section called "The Lamentation of the Isrealite for the Death of Josef" that adds an overture (called Symphony), 8 addtional choruses, a section for solo and chorus, and 2 extra solos. When we think about the great choral works of classical music, the names we often repeat are Pergolesi, Bach, Mozart, maybe Beethoven and some others. But very rarely does Domenico Scarlatti, the profilic composer of several harpischord pieces, come along. This is truly a shame, some of the greatest music he ever wrote, was choral music. And in this field, his crowning achievement was "Stabat Mater" for unacomppanied voices. It is a gem of a highest order. Its beautiful structure contains several immortal melodies.